Social media is prevalent. Social media is powerful. Social media is telling. And colleges have come to fully embrace these social media truths. By inviting prospective students to follow their social media feeds, colleges are building a data driven infrastructure for recruitment, assessment, and enrollment functions. Most schools use their websites to encourage students to connect with their social media channels. 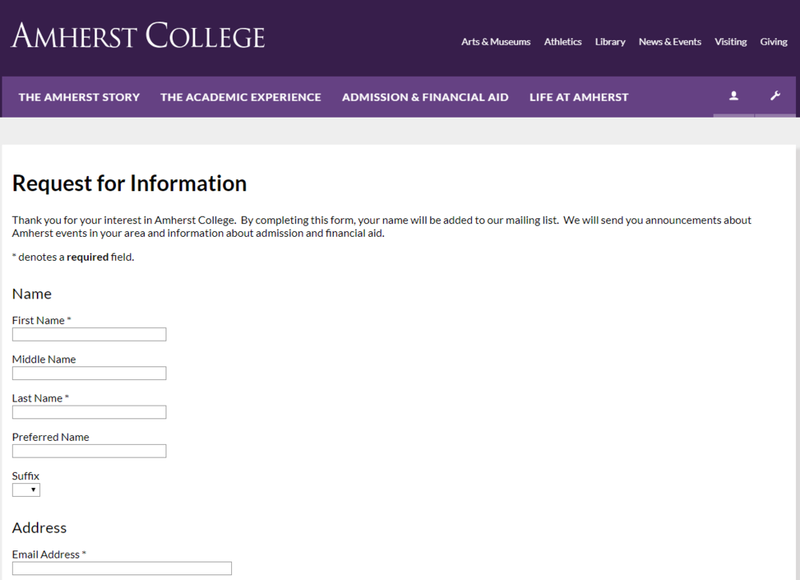 Some colleges are even encouraging students to connect directly with their college admissions officers on social media. Once a college links a student's name to a specific email address, they can apply pixels and other social listening tools to connect social media accounts to a student's application. Once this connection is made, colleges can measure student engagement for purposes of determining demonstrated interest. Much like college visits, the level of social media engagement a student has with a specific college is helping colleges measure a student's liklihood to enroll if accepted (for the importance of this connection see: Social Media Scrutiny and the Business of College Admissions). Navigating to a college's website is no longer a prerequisite for social media recruitment. Schools are using social media to reach prospective students. 📱Follow us on Social Media and stay up to date with everything happening at the college! With colleges overtly beckoning prospective students to connect with them on social media, students need to be equipped with essential knowledge on how social media works and how colleges are using collected data to make important decisions. PSA: What 1 posts, what 1 likes, what 1 retweets is known 2 all. Keep thinking about your brand, image, values & employability. It may be funny now, but will you still be laughing a year from now? Life's tough. Don't make it tougher due 2 things you can control & chose to ignore! We advise our students to never follow colleges on social media from their personal social media accounts. They should be instructed to build social media accounts for this purpose so they can control the digital narrative they place in front of college personnel. We often use the analogy of a college interview to make the point. A student would not go to an interview straight from the gym without first showering and changing their clothese to look and feel their best. The same logic applies to social media. Students must learn how to put their best foot forward.